NBC will remain the exclusive network of the Olympic Games until 2020, according to reports. The Olympic torch is staying put at NBC for another decade. NBC and the International Olympic Committee have reached an agreement and that NBC will be the network home for the Olympics until 2020. The news was initially reported by the Associated Press, which claimed the television rights for the four games that will take place between now and then is reported to be worth around $4 billion. NBC has been the exclusive broadcast home of the Summer Olympics since 1988. They added the Winter Olympics in 2002. The deal will cover the 2014 Winter Games in Sochi, Russia, the 2016 Summer Games in Rio de Janeiro, and the 2018 Winter Games and 2020 Summer Games wherever they are held. Chairman of NBC Sports Mark Lazarus confirmed that the network will be covering the Games in the most exhaustive way possible. "We will make every event, on one platform or another, live," said Lazarus, according to a Tweet from NBC Sports. The Olympic TV rights were the centerpiece of a three-way bidding war between NBC, Fox, and ESPN. Each network made a separate presentation to IOC President Jacques Rogge. Included as part of the 17-member delegation from NBC was TV host Bob Costas, who has manned the main desk for eight Olympic Games. 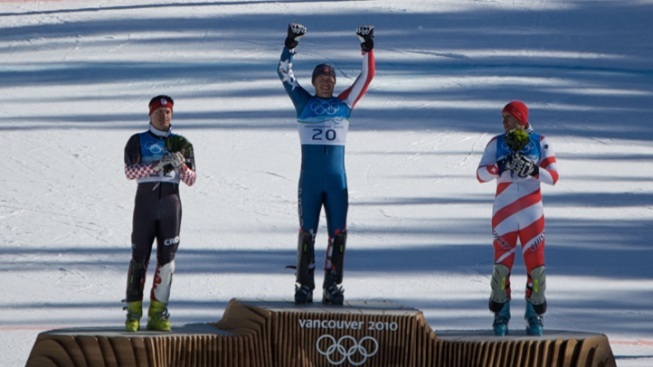 It was the first time the rights were up for grabs since 2003, when NBC secured the 2010 Winter Games in Vancouver and the 2012 Summer Games in London.